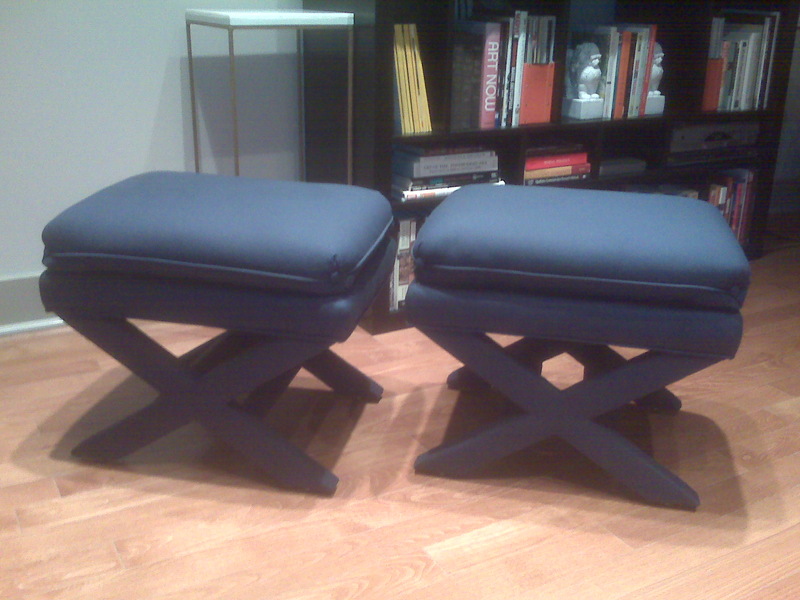 Remember these nasty, 90's inspired, purple and teal, vintage x-benches? Well, we did it. $160 for the pair was too good to pass up and if I told you how much we ended up spending on fabric and upholstery, you wouldn't believe it. These bad boys were meant to be mine! We got them back from the upholsterer tonight and I wish this photo did them a hint of justice. They're now living on each side of our bed - the perfect landing for a tray filled with books and quite the luxurious cushion for my charging phone. I now have lucite and x-benches in my bedroom. Ladies, dreams do come true. x benches are such a chic staple to any room! fabulous recovery! Ahhh!! yay! hahha after all my dontdoit's you totally showed me! They are supercrazyfabulous m'dear :) how fun! !